As a consumer, I like to believe I “speak” with my dollar, not buying items I don’t feel are an appropriate value for my money. This is why I won’t buy bags of potato chips and haven’t done so for quite a long time. I see no value in shelling out money for a product that by the time I get it home is usually broken up into minuscule pieces suitable for use as a casserole topping – not as a way to move dip to my mouth. For years I have been harping to anyone who will listen that while flexible packaging definitely has its place, purpose, and benefits, there are some products that are inherently unsuitable for a soft-sided packaging format. And, there are products where the rigidity of a carton adds a protective measure that is desirable in transporting a product from the manufacturer to the consumer. The most obvious example of this premise is the humble egg. One would never think of buying a flexible package of a dozen raw eggs. They wouldn’t even make it off the shelf before being damaged, but would certainly be cracked by the time they hit the fridge at home. The same principle holds for potato chips. 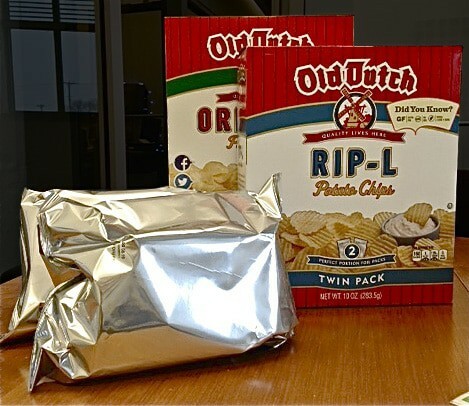 As a snack food product, potato chips have an inherent fragility – it simply doesn’t make sense to package them in a soft-sided flexible format package. 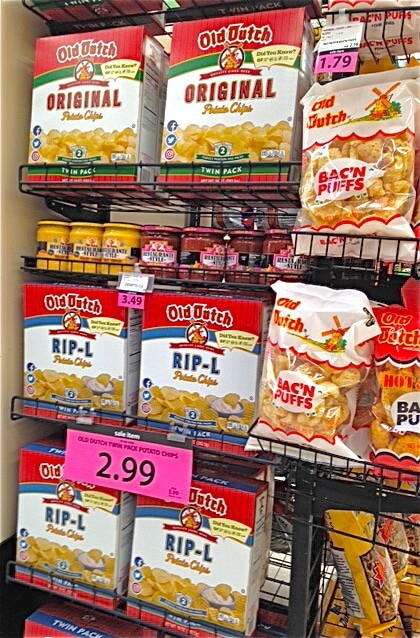 With that in mind, you can imagine my astonishment when I came upon an end aisle display with Old Dutch potato chips. 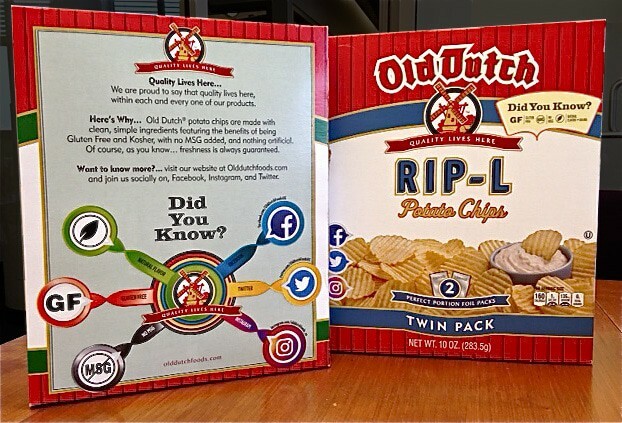 Finally, chips in cartons – yes, rigid cartons containing two individually packaged bags of minimally damaged, crisp whole potato chips. Although I cannot swear to it, the package looks to be patterned after a legacy graphic design, focusing attention on the Old Dutch logotype leading the communication hierarchy. There is no confusion as your eye is encouraged to read logically through the package, and if the copy does not clearly communicate key information about the product, the product photography will tell you everything you need to know. This picture is worth one thousand words! And if the package has to be displayed with a side panel acting as a principle display panel, it still has enough impact to create an instant brand recall. One of the additional benefits of using a carton is that you gain panels to use in your communication to consumers. Content and nutrition copy has been incorporated into the side panel because the carton allows for adequate area to reproduce both elements in a large enough size to be legible (all too often ingredient copy becomes so small a magnifying glass is required to read it). The use of side panels as information points leaves the back panel open for a genuinely unique approach to a quality statement and “finder” guide for social media followers. This ties back into the icons for Facebook, Twitter and Instagram and a violator that isolates all of the “free from” icons that are appropriate to this product. I don’t know that it was so critical to repeat this information twice, and use the valuable surface space on the back panel when it may have been a vehicle to cross-reference and inform consumers about other products in their family that also share the display. There are many good and compelling reasons to pursue flexible packaging – but too many times I believe the decision is made purely for economic reasons. Not enough thoughtful consideration is given to the impact packaging and shipping have on the quality of the end product, and its condition when it reaches the hands of the consumer – either through the retail shelf or through ecommerce. 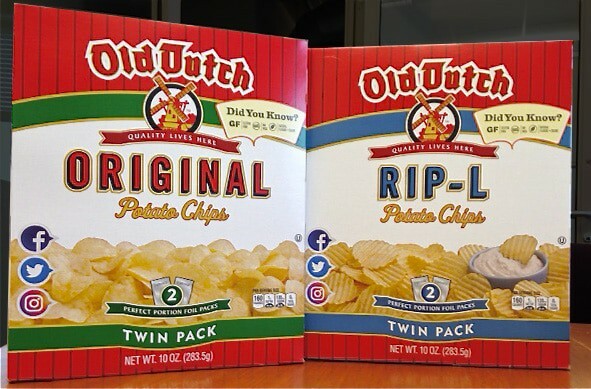 Thanks to Old Dutch for returning the joy of potato chips into my life, and for using the conventional “carton” to its best effect. 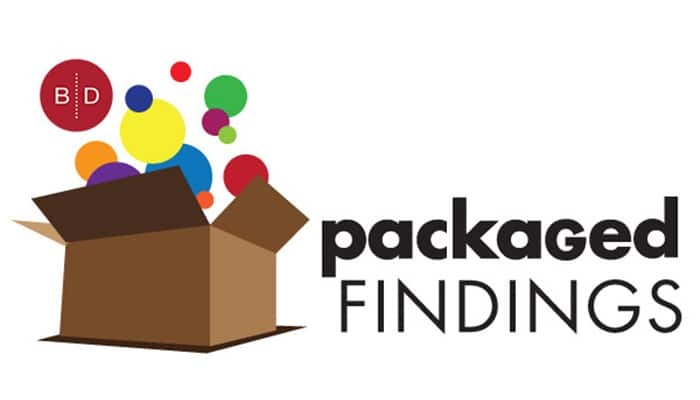 If you would like to create packaging that brings joy to the consumer, contact us at 920-886-7727 or info@brand-directions.com Throughout our 60 plus years of supporting customers with consumer brands large and small, we apply our experience and expertise to the entire process to create efficient and effective solutions.